I have located my photographs from that early era. They include Duane Eddy and I (early 1960's c.1962) Myself in Phoenix at Don/RAY Records checking out the Don/RAY 'BILLBOARD" Magazine ratings of 'Travelin'' by The Travellers (which comprised of Alvie Self and Al Casey and others) and 'Seven Minutes 'Till Four' title was taken from the time on the studio clock when the recording session commenced. 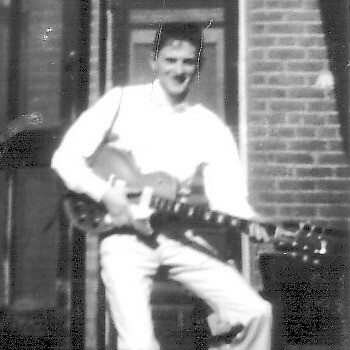 Can you post your pictures with Duane Eddy?